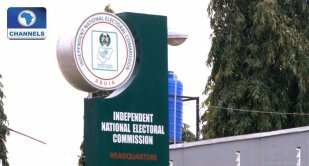 Do you know that the role of Nigeria’s national electoral umpire, the Independent National Electoral Commission (INEC), goes beyond just organizing elections into various political offices in the country? INEC summarizes its mission this way: “to serve as an independent and effective Electoral Management Body (EMB) committed to the conduct of free, fair and credible elections for sustainable democracy in Nigeria”. Below are eight major functions of INEC as contained in Section 15, Part 1 of the Third Schedule of the 1999 Constitution (As Amended) and Section 2 of the Electoral Act 2010 (As Amended). They paint a broader picture of the role INEC is to play. 3. Monitor the organisation and operation of the political parties, including their finances; conventions, congresses, and party primaries. The INEC is expected to carry out its functions independently and free from external influence. INEC also expected to display openness and transparency in all its activities and in its relationship with all stakeholders. Truthfulness and honesty are expected in all the dealings of the electoral umpire. Also expected in the affairs of the INEC are credibility and impartiality. With equity and excellence being part of its core values, the INEC is expected to deliver quality electoral services efficiently and effectively, guided by best international practice and standards.